Winter is almost here and we’ve got some killer deals to help get you back on the mountain in style, without breaking the bank. This week we’re highlighting skis, helmets, ski/snowboard socks, hoodies and wax for your plank(s) – but we have many more deals than this going on right now! Head over to our Outlet (that cute little red tag in the header at tahoemountainsports.com) or check out our individual brand pages for a huge selection of bargain deals and closeout items. 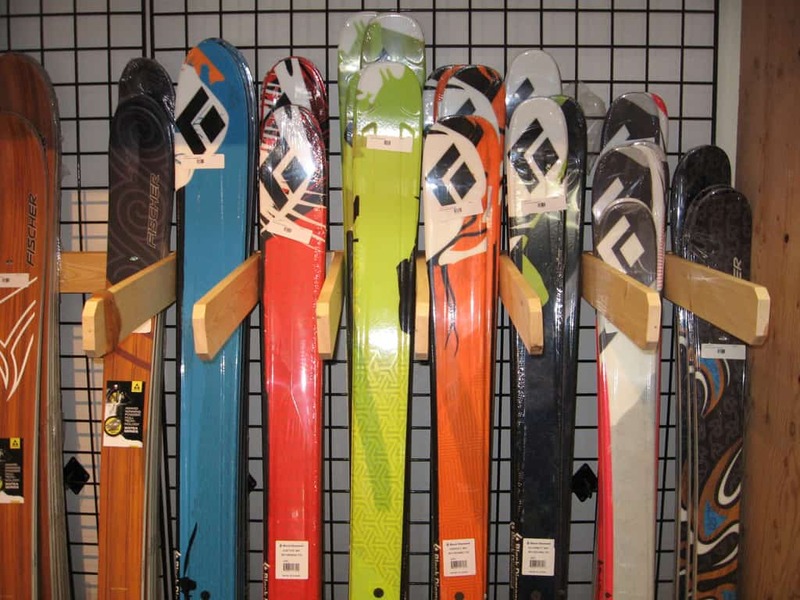 Wide, Solid and Fast are three words to describe these all around skis from Black Diamond. The Zealot has long been a favorite of those who like to go big. 3D Metal Sandwich construction gives them an extremely damp, stable ride no matter the conditions – powder, chop & crud, spring slush or bulletproof. A 100-mm waist provides float in the soft stuff without compromising a smooth edge-transition. With Rocker at 300-mm in the tip and 150-mm in the tail, you’ll rise above the deeps while maintaining a reliable turn radius. These “big guns with a playful side” are perfect for everything from big mountain free-riding to mellow laps in your favorite tree stash. A killer deal on one of the most versatile and stylish helmets on the market! The Holt Helmet from Smith not only shreds the gnar on the mountain, but easily converts to a skate/bike helmet during the dry months. An injection-molded ABS shell withstands high impact slams and provides excellent dent resistance and durability. AirVac ventilation actively pulls warm, moist air out of your goggles and exhausts them outward via 14 vents! The Holt is also compatible with SkullCandy audio systems, and comes with a Smith Lifetime Warranty. You can’t pass up a good deal on Smartwool winter socks! Odor-free, itch-free, moisture-managing Merino wool makes these and other SmartWool socks the leaders in comfort and functionality. They won’t scrunch or bunch in your boot, and the foot’s high-impact areas are layered extra thick to prevent shock and abrasion. These light and breathable ski socks are an industry favorite for a good reason. Cozy, great looking and soft to the touch. What else could a woman want? How about a fleece-lined chin guard so the zipper doesn’t irritate your chin or rub you the wrong way? Or zippered hand-warming pockets to store your belongings as well as your frozen phalanges? Even better: Voluptuous Veboa fleece that traps heat and is oh-so-comfortable! The Pyxis hoody from Mountain Hardware works great as a mid-layer under your winter jacket, or simply by itself as a warm, fleece top. Start lubing up your skis and boards for one heckuva season! Different temperatures and climates call for different types of wax. Luckily, we’ve got you covered when the weather changes. We carry an S3 Toko Hydrocarbon Wax for any ski, board, and temperature. Sold individually in 167-gram bars. Be slick…don’t stick.